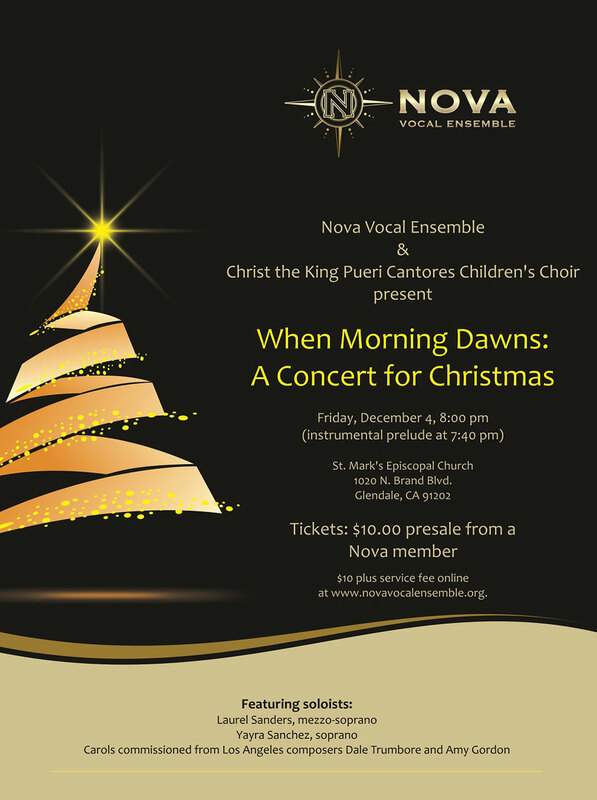 The fabulous Nova Vocal Ensemble will be performing my a cappella arrangement of “Coventry Carol”, commissioned by director and conductor Jonathan Bautista. Tickets are $10 (+service fee) online and $12 at the door. I will be singing in the choir as well. There are breath-taking a cappella choral pieces on this program, so I hope you can come see it!